Looking for some interesting and refreshing tranquility and an absence of tension after visiting all these artistic values and monuments? So how about spending one or two days of relaxation in a thermal and spas bath? In the central part of Florence city, you can find many spas such as the Four Season Florence Spa that provides tons of facilities like sports club equipped with high tech gym gears, a hairdressing and beautician salon that offers services of caring hands and fingernails, caring feet and toenails and further beauty treatments. They also offer some services that caters to children such as chocolate body relaxation and further body treatments such as hands and foot care. Soul Space, another luxurious spa at the heart of the city proper offers a unique and fashionable renewing space to those wanting to indulge on relaxation treatment, through state-of-the-art sensory equipment. Here you can find the most innovative practice, beauty rites, specialized treatments and high class products. Also nestled on the city center, Klab Conti has a gym and a thermarium, conforming to an ultimate standard place to get most of fitness, mentally and bodily. It has further two sub branches in the city: Klab Lulli, a much outfitted gym not faraway from the heart of city, and Klab Marignolle, a remarkable Spa & Fitness Club, with handsome open air, enclosed swimming pools, attractive restaurant, bar and rest areas. Roughly 20 minutes drive from the city proper, Hidron is known as a haven of comfort. This is a perfect place to enjoy more than a few offers of wellness choices. You can even have a good time with your loved-ones on your birthday celebration or other events . Hidron offers indoor and outdoor swimming facility, aqua park and many classes for children and beauty salon for your free time. Florence is also dotted with a handful of thermal baths wherever you can indulge and relax throughout the day. The Grotta Giusti Terme is most recommended, a entirely equipped hot bathing center with an aspect that makes it only one of its kind: the small cave of very old times, which pampers the guest in a favorable thermal bath. 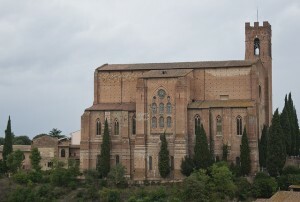 It is located in Monsummano Terme nearby Florence, Lucca and Pisa. This unassuming thermal bath provides mud therapy, ionized bath, breathing treatment, Asian practices, a gym center, an vanguard aesthetic medicine center, a wide relaxation area and caloric swimming facility with waterfall and hydro massage beneath the surface of the water. Traveling a few kilometers away from Florence, you will also be surprised to find an amazing hot bath in Saturnia, in the south of Tuscany, a magnificent paradise of comfort and enjoyment. At Terme di Saturnia Spa the water flushes from the Earth itself; the sulfur spring water has been running at a regular temperature of 37°C. It is the pride of Terme di Saturnia’s which offers a variety of special SPA treatments and medical programs . Here you can take the opportunity to redevelop your senses; as people keep themselves under water and breathe in the hot and sticky vapors, the entire body will sense the thermal pure waters, together with anti-poisoning treatment, natural way of peeling off dead skin, enhanced blood circulation, relaxing muscles, and better breathing. 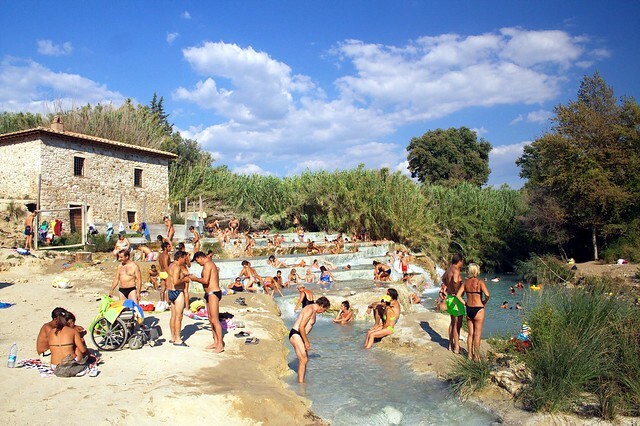 Bagno Vignoni along with Cultural Park located in the Val d’Orcia Artistic, is well-known and one of its kind for its thermal bathing facility provided since Roman times. In actual fact, the healthy resort of Bagno Vignoni was served by some famous personalities for instance Pope Pius II, Lorenzo the Magnificent, Santa Caterina da Siena among others. The hot waters of Bagno Vignoni have the feature of sulfate-bicarbonate-calcium-magnesia, and it is well-known for reducing inflammation and pain. The spa facilities consist of all sorts of massages, sauna, Jacuzzi and aesthetic treatments developed to act in full synergism with the waters.